19 Varieties of Gazelle: Poems of the Middle East. Nye, Naomi Shihab. New York: Greenwillow, 2002. ISBN 0060097655.
ancient culture’s pride,” Nye tells the reader in the introduction of these sixty poems that tell about being Arab-American, about Jerusalem, the West bank, and her family. The poet encourages us to think and understand what it is to be Arabic, and to leap like the gazelle toward the horizon with the hope of peace spinning inside us. Al Dudatu Al Shadidat Al Gou. by Mohammad Anani. 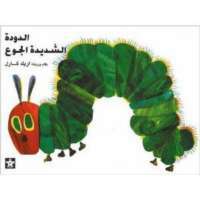 ISBN: 9776171036, Translated from “The Very Hungry Caterpillar” by Eric Carle. One sunny Sunday, the caterpillar was hatched out of a tiny egg. He was very hungry. On Monday, he ate through one apple; on Tuesday, he ate through two pears; on Wedne sday he ate through three plums – and still he was hungry. Strikingly bold, colorful pictures and a simple text in large clear type tell the story of the hungry little caterpillar’s progress through an amazing variety and quantity of foods. Full at last, he made a cocoon around himself and went to sleep, to wake up a few weeks later wonderfully transformed into a butterfly. Alia’s Mission: Saving the Books of Iraq: Inspired by a True Story. Stamaty, Mark Alan. New York: Knopf, 2004. ISBN 0-3758-3217-3. Unpaged, (8 up). Biography. In 2003, as bombs exploded over Basra, Alia attempted to preserve the collective history of Iraq. Alia was the chief librarian of the Central Library and as she watched her city prepare for war, she recalled her childhood history lessons and the stories of the destruction of the great library of Baghdad in 1258. Alia begged local officials to help but instead government officials commandeered her building. Secretly, Alia and her friends transported 30,000 volumes to safety before the library burned to the ground. This is a book about Arabic proverbs; it is very interesting due to the bilingual text and western and eastern correlations. 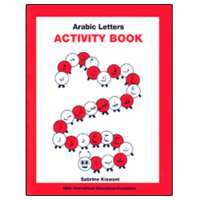 Arabic Letters, Activity Book. Sabrine Kiswani. ISBN: 1-56316-015-3. IQRA’International Educational Foundation, (1996-2007). This book em phasizes the Arabic alphabet through worksheets and activity sheets. 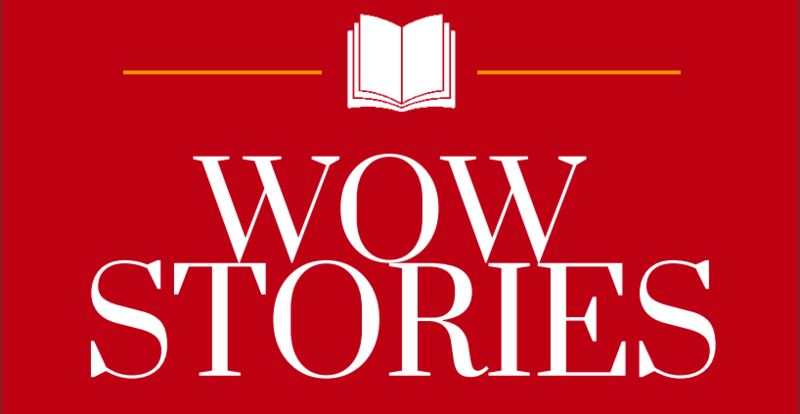 A collection of folktales and wisdom culled from the Muslim World. One of the most popular folk characters is Mulla Nasruddin, a wise and witty spiritual guide. The book isn’t only folktales; it also includes retellings of Qur’anic passages. The Bedu way of life in Arabia has existed for thousands of years, yet, as these remarkable nomadic people have disappeared to the cities, so too has our knowledge and understanding of them. Constantly moving to find grazing for their animals, tending their flocks in the vast, empty land, and weaving beautiful patterns for their houses of hair, the wonder of the Bedu is that they managed to survive in the harsh desert environment. The Breadwinner. Ellis, Deborah. Toronto: Groundwood Books/Douglas & McIntyre, 2000. ISBN 0-88899-419-2. 170 p.
Since the Taliban took over Afghanistan, 11-year-old Parvana has rarely been outdoors. Barred from attending school, shopping at the market, or even playing in the streets of Kabul, the heroine of Deborah Ellis’s engrossing children’s novel The Breadwinner is trapped inside her family’s one-room home. That is, until the Taliban haul away her father and Parvana realizes that it’s up to her to become the “breadwinner” and disguise herself as a boy to support her mother, two sisters, and baby brother. Beneath My Mother’s Feet. Amjed Qamar: 208 pages. Atheneum (2008) ISBN-13: 978-1416947288. “Our lives will always be in the hands of our mothers, whether we like it or not.” Nazia doesn’t mind when her friends tease and call her a good beti, a dutiful daughter. Growing up in a working-class family in Karachi, Pakistan, Nazia knows that obedience is the least she can give to her mother, who has spen t years saving and preparing for her dowry. But every daughter must grow up, and for fourteen-year-old Nazia that day arrives suddenly when her father gets into an accident at work, and her family finds themselves without money for rent or food. Being the beti that she is, Nazia drops out of school to help her mother clean houses, all the while wondering when she managed to lose control of her life that had been full of friends and school. As Nazia finds herself growing up much too quickly, the lessons of hardship that seem unbearable turn out to be a lot more liberating than she ever imagined. It’s Eid, and Aneesa should be happy. But her parents are thousands of miles away in Saudi Arabia for the Hajj pilgrimage. To cheer her up, her grandmother gives her a gift of beautiful clothes from Pakistan, one outfit for each of the three days of Eid. At the prayer hall, Aneesa meets two sisters who are not dressed in new clothes for the holiday. Aneesa discovers that the girls are refugees.Aneesa can’t stop thinking about the girls and what Eid must be like for them. That’s when Aneesa comes up with a plan to help the girls celebrate Eid and make it the best Eid holiday ever. The Carpet Boy’s Gift. Shea, Pegi Deitz. Illustrated by Leane Morin. Gardner, ME: Tilbury House, 2003. ISBN 0-88448-248-0. 40 p. Picture book. Count Your Way Through the Arab World, Haskins, Jim, (1987), Minneapolis, MN: Carolrohoda Books. ISBN: 978-0876144879. Uses Arabic numerals from one to ten to introduce concepts about Arab countries and Arab culture. Elmer or Elmer’s Day. David Mckee. ISBN: 978-1840593983. This book features a colorful patchwork elephant as its subject. Elmer’s winsome personality shines through as he romps with a variety of wild animals from all over the world, Polar bears and leopards, elephants and kangaroos in this jungle fantasyland. Elmer’s Friends, the most sophisticated of the four, leaves readers with the message that we can be different and still get along. The Genius of Islam: How Muslims Made the Modern World. Barnard, Bryn. New York: Knopf, 2011. ISBN: 978-0375840722. The Muslim world has often been a bridge between East and West, but many of Islam’s crucial innovations are hidden within the folds of history. In this important book, Bryn Barnard uses short, engaging text and gorgeous full-color artwork to bring Islam’s contributions gloriously to life. Chockful of information and pictures, and eminently browsable, The Genius of Islam is the definitive guide to a fascinating topic. 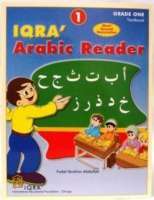 IQRA’, Arabic Reader, Grade One Textbook. Fadel Ibrahim Abdallah. ISBN: 1-56316-027-7, (2006) International Educational Foundation, Chicago. This book has an intro duction to the Arabic language at an elementary level. This book focuses on teaching the essentials of the language. Due to it being bilingual, it is easier to understand and use. The Librarian of Basra: A True Story from Iraq. Winter, Jeanette. Orlando: Harcourt, 2004. ISBN 0-15-205445-6. 32 p. (8-10). Picture book. Books are “more precious than mountains of gold” to Alia Muhammad Baker, the librarian of Basra. She and her friends remove more than 30,000 volumes from the library and store them in their homes to prevent their destruction when a bomb hits the building. 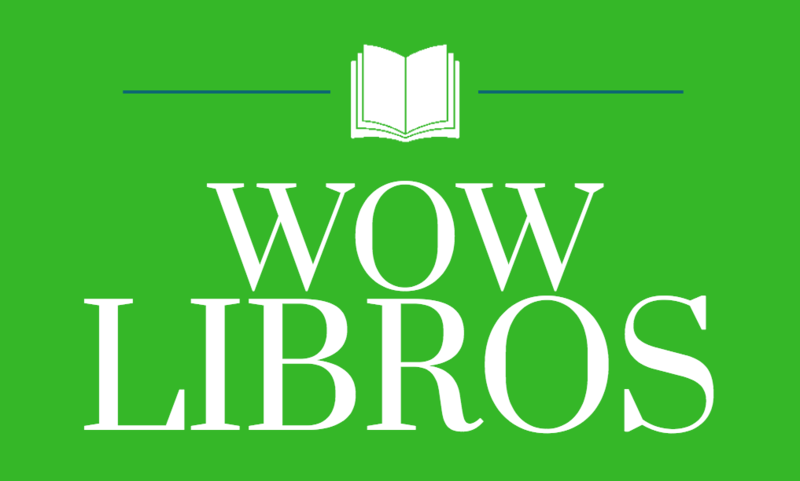 This moving true story about a real librarian’s brave struggle to save her war-stricken community’s priceless collection of books is a powerful reminder that the love of literature and the passion for knowledge know no boundaries. Middle East (Kingfisher Knowledge). Philip Steele,: 64 pages. Kingfisher (2006). ISBN-13: 9780753459843KFK. Middle East takes an in-depth look at the peoples and places of this diverse and fascinating region- from the cradle of civilization to the powerful countries that play a central role in today’s global economy and politics. Find out where different religions began and how they have shaped countries and cultures. Discover ancient trading routes, incredible monuments, and modern capitals. Learn about cooperation and conflicts, oil and resources, and religion and art-as well as recent disputes and hopes for the future. This book is a well-done treatment of a subject not often seen in children’s picture books. Bilal transfers to a school where he and his sister are the only Muslim children. After an incident in which a boy pulls off Ayesha’s headscarf, Bilal decides to hide the fact that he is Muslim until an understanding teacher, who is also Muslim, gives him a biography of Bilal ibn Rabah, a black slave who became the very first muezzin because of his steadfastness in the face of religious persecution. Attractive watercolor illustrations emphasize the parallels between the persecution faced by Bilal ibn Rabah and that faced by the American boy. It ca n enhance discussions of cultural diversity and understanding. Muslim Child. Rukhsana Khan. 72 pages. Napoleon Publishing (1999) ISBN-13: 978-0807553077. 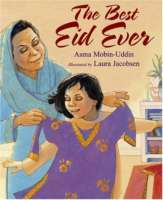 Muslim Child presents aspects of the daily lives of Muslim youngsters in various locales, including Canada, the U.S., Nigeria, and Pakistan. The child’s-eye view substantially increases the likelihood that non-Muslim readers will be able to internalize and understand what the protagonists are feeling and thinking, even if the religious basis of those thoughts and emotions is unfamiliar. It is a collection of stori es and poems about Islam from a child’s perspective. Muhammad. Demi 48 pp. McElderry 7/03 ISBN 0-689-85264-9. Demi tells the story of the prophet Muhammad from birth to death, explaining the creation of Islam and the Koran. While her text presents his life point by point with little embelli shment, the illustrations are lively–surprisingly so, given the restrictions placed on them. For one thing, Islamic law states that Muhammad may not be depicted and so she shows him as a gold silhouette. This means that the pathos and much of the action rely on her portrayal of secondary characters and the setting. These are shown in the artist’s familiar two-dimensional style, with thin black outlines and bright, solid colors. My Arabic Words Book. Sid diqa Juma, ISBN: 978-1879402331. Iman Publishing Ltd. (1999). 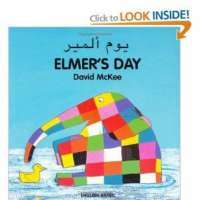 In this wonderfully illustrated book, a child can learn how easy and fun it is to learn new Arabic words. Each page provides the Arabic writing, the transliteration and the translation. One City Two Brothers. Chris Smith and Aurelia Fronty. : Barefoot Books (2007) ISBN-10: 1846860423. Framed by a story of King Solomon that deals with two squabbling brothers, this tale tells of two quite different b rothers. They live in two villages, sharing the land between them and dividing their harvest. One abundant year, the elder brother, who has a wife and children, worries that his unmarried brother needs to save for his old age. Secretly he brings extra grain to his brother s storehouse. Yet the next morning, the \ elder brother seems to have the same amount of grain as before. Meanwhile, the younger brother has been worrying, too; his elder brother has a family to be fed. He is secretly bringing grain to his sibling, then finding his own storehouse still full. The mystery is solved when the brothers meet on the hilltop, each with a donkey laden with grain. The blessed spot where they meet becomes Jerusalem. 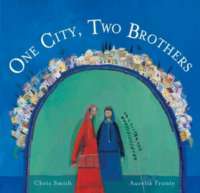 Based on a folktale told by both Jews and Arabs, this picture book gives readers hope for what could be if people thought more about one another than about themselves. A Party in Ramadan. Mobin-Uddin, Asma . Boyd’s Mill Press (2009). ISBN: 9781590786048. With lively pastel-and-pencil artwork, this warm picture book shows and tells the observance and meaning of Ramadan through the viewpoint of a Muslim child. Leena is happy to be invited to her friend’s birthday party, although it turns out that the event is on a day during Ramadan when Leena plans to fast with her family. She attends the party and has lots of fun, even though she does not eat or drink. It’s hard for her when everyone else eats chocolate cake, and a close-up picture shows her stress and exhaustion as she maintains her fast. Rickshaw Girl. 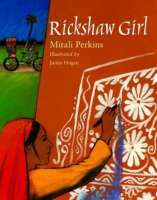 Mitali Perkins, illustrated by Jamie Hogan. 91 pages: Charlesbridge. ISBN-13: 9781580893084. In her Bangladesh village, ten-year-old Naimi excels at painting designs called alpanas, but to help her impoverished family financially she would have to be a boy or disguise herself as one. Bangladesh is a country in South Asia surrounded by India. Roses in My Carpet. Khan, Rukhsana. Illustrated by Ronald Himler. Fitzhenry & Whiteside (2004). ISBN-13: 978-1550050691. This story follows a day in the life of a young Afghani refugee who takes solace in the beautiful carpets he weaves. In a recurring nightmare, the boy narrator flees with his mother and younger sister, Maha, from the bo mber planes that killed his father, then awakes to find himself in a safe but impoverished camp. At dawn, a muezzin calls him to prayer; he then attends school, followed by another call to prayer and finally goes off to his long-awaited practice of carpet weaving. For him, weaving is a skill that ensures “my family will never go hungry” and an outlet that allows him to create a world of color and beauty. When Maha is injured by a truck, the boy must set aside his weaving to come to his family’s aid. Sami and the Time of the Troubles. Florence Parry Heide,, Judith Heide Gilliland. Clarion (1995) ISBN-13: 978-0395720851. In this poignant and appealing story, a boy longs for peace in his war-torn Beirut, Lebanon. This book touches upon the manner in which childhood prevails for all. Given the circumstances the protagonist is living in, he still finds time to play with other children as soon as there is a small respite in the usual flow of violence. His family connections seem to make him clearly secure w ithin his shaky existence. The Shadows of Ghadames. Stolz, Joelle. Translated from the French by Catherine Temerson. New York: Delacorte Press, 2004. Originally published in France as Les Ombres de Ghadames in 1999 by Bayard Editions Jeunesse. ISBN 0-385-73104-3. 119 p.
In the Libyan city of Ghadames at the end of the nineteenth century, Malika is dreading her twelfth birthday. That is the time when, according to her family’s Berber customs, she will be close to marriageable age and confined to the world of women. In Ghadames that means restriction to the rooftops. Malika longs to live beyond the segregated city and travel, like her father, a trader. But the wider world comes to Malika after her father’s two wives agree to harbor, in secret, a wounded stranger. This is a story of an outsider who unsettles a household and helps a young person to grow. Silent Music. James Rumford (2008) : Roaring Brook Press. ISBN-10: 1596432764. 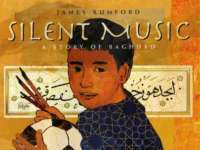 A boy’s ingenuous voice introduces readers to the beauty and discipline of Arabic calligraphy in this mood piece set in Baghdad. Ali directly addresses readers, explaining how much he loves playing soccer and listening to loud music, and how he loves calligraphy even more. His hero is Yakut, a 13th-century calligrap her who took solace in his art amidst the Mongol invasion. Like Yakut, Ali finds comfort in practicing his letters during the turmoil that has reigned in Baghdad since 2003. 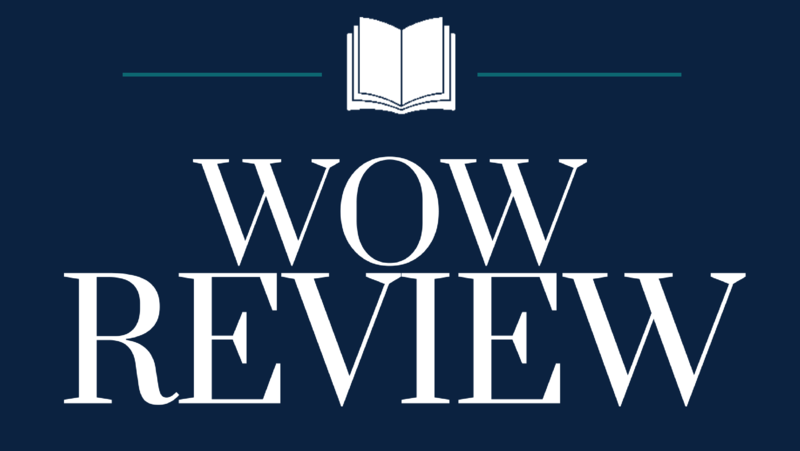 When Sitti, an American girl, goes to visit her grandmother in her small Middle Eastern village on the other side of the world, they don’t need words to understand each other’s heart. Tasting the Sky: A Palestinian Childhood. Ibtisam Barakat. 192 pages: Farrar, Straus and Giroux ISBN-13: 978-0374357337. 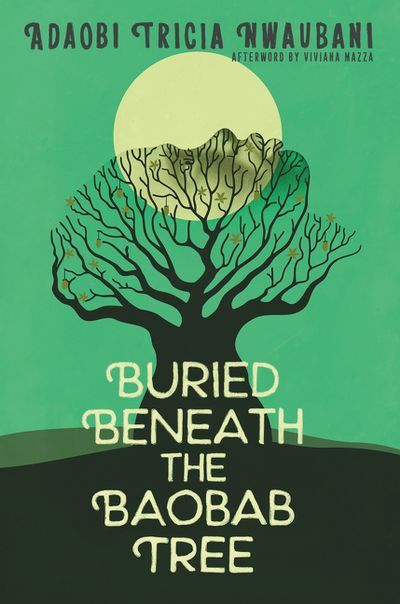 In this groundbreaking memoir set in Ramallah after the 1967 Six-Day War, Ibtisam captures what it is like to be a child whose world is shattered by war. With candor and courage, she stitches together memories of her childhood: fear and confusion as bombs explode near her home and she is separated from her family; the harshness of life as a Palestinian refugee; her unexpected joy when she discovers Alef, the first letter of the Arabic alphabet. Time to Pray. Addasi, Maha. Honesdale, PA: Boyd’s Mill Press (20100. ISBN: 978-1590786116. Maha Addasi elegantly weaves the story of a little girl visiting her grandmother in a country where the Adhan is heard in the streets. The grandmother takes Yasmin shopping for fabric to make a set of prayer clothes and buys her a prayer rug. She watches her Grandmother pray and wants to pray like her. When Yasmin has to go home, she does not want to leave her grandmother and hearing the call to prayer. A surprise gift left in her suitcase by her grandmother brings both her grandmother and prayer near to her. Traveling Man: The Journey of Ibn Battuta 1325-1354. James Rumford. 40 pages Houghton Mifflin (2004) ISBN-10: 0618432337. Up, Up, and Away with Arabic Numbers. Saba Ghazi Ameen and Amal El Naggar. ISBN: 1-56316-027-7. IQRA’International Educational Foundation, (1988). 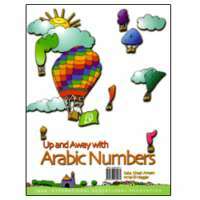 This book emphasizes the numbers in English and Arabic with activities on each page. Wanting Mor. Khan, Rukhsana. Toronto, Canada: Groundwood Books (2009). ISBN: 978-0888998620. Wanting Mor is about a girl named Jameela, living in post Taliban Afghanistan, whose mother dies during the war. Her father gets remarried, but her stepmother doesn’t want her so her father takes her to the marketplace and leaves her there. Based on a true story about a girl who ended up in one of the orphanages Rukhsana sponsors in Afghanistan through the royalties of her book The Roses in My Carpets. Zaki’s Ramadan Fast, El-Maslimany, Ann, (1994). Seattle: Amica Publishing House, ISBN: 978-1884187087. This story glances at a day in the life of a little Muslim boy who is fasting for the first time. Though he is still not required to fast everyday for the month of Ramadan, his family gives him their support to achieve his goal of fasting one day. Even with that support, Zaki quickly learns that it takes effort. A great book to introduce children to fasting and setting goals.